Sponsored by Toho Beads, this necklace has the fabric like quality of fine wire mesh chain but is stitched with glass size 11°Japanese Demi round beads. 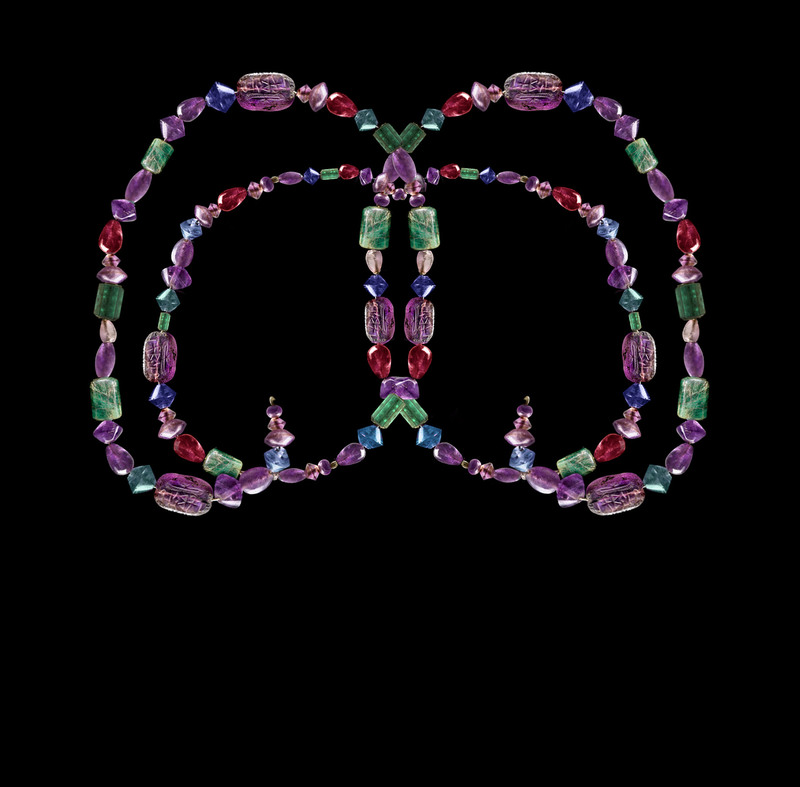 The necklace is stitched in non-traditional tubular odd count peyote with a five bead base ring. The necklace can be made using a single color of Demi round beads or two, three, four, five or six colors of Demi round beads. A fully illustrated pattern will guide you through the process regardless of whether you use a single color or multiple colors of beads. It is elegant in metal tones and equally stunning in any combination of colors. 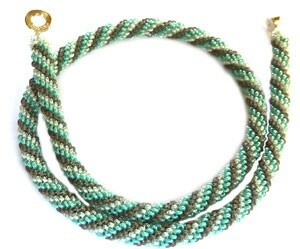 The necklace is soft, supple, lightweight and a joy to wear. The picture does not do it justice. Bet you can’t make just one!